There is widespread positive coverage today of our announcement of a call for evidence for a potential ban on the live export of animals for slaughter after Brexit. Launched by Environment Secretary Michael Gove, the call for evidence will also look at higher welfare standards for live animal movements. The announcement featured on the I, The Times, Daily Mirror, Independent, BBC News, The Sun, Farming UK, Farmers Weekly, Farming Guardian and The Grocer. Taking action on live animal exports forms part of the government’s programme of reforms to cement our position as a global leader in animal welfare as we leave the EU and deliver a Green Brexit. 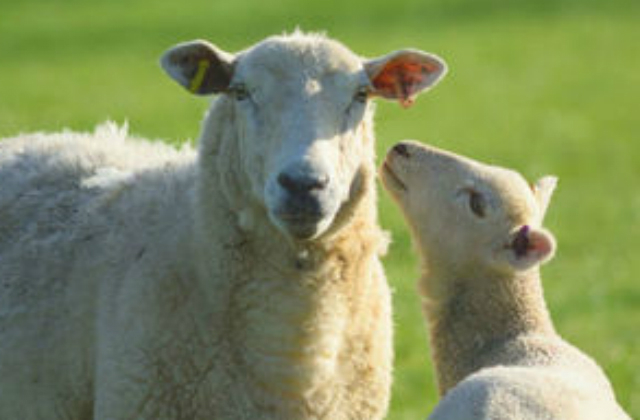 Stakeholders have responded positively, including the British Veterinary Association (BVA). President John Fishwick said that the BVA welcomes the launched of the government’s call for evidence and looks forward to contributing to it. The Environment Secretary Michael Gove today met with the representatives from the food and farming sectors to discuss the ongoing consultation to seek views on future farming policy post-Brexit. 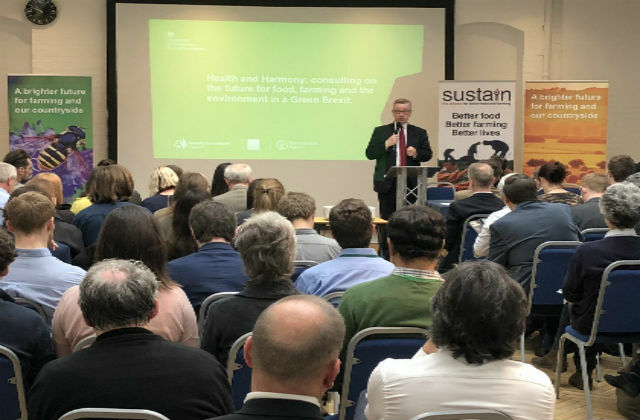 He addressed over 100 attendees at the event, which was co-hosted by Sustain, on how their views will be able to make sure that we make the most of the historic opportunity to deliver a farming policy that works for everyone. The Defra-led event, which is just one of 14 taking part across the country to hear directly from industry on their views around future policy, also saw Sustain’s Farming Campaign Coordinator, Vicki Hird, highlight the importance of collaboration between the government and industry to deliver an agricultural policy that reflects the needs of farmers and food producers. As we leave the EU, we are committed to delivering an ambitious agricultural policy for our food and farming sector –one that champions the needs of our farmers and puts food at the heart of government thinking. Today’s event is just one in a series across the country to make sure we get this right and I encourage all those with an interest to get involved with the consultation.